Discover how to save up to 20% on your summer energy bills by planting trees! Deforestation is clearing Earth's forests on a massive scale which often damages the quality of the land making it difficult for forests to recover and grow again. Forests are home to 300 million people worldwide and 80% of the world's terrestrial biodiversity and provide direct livelihoods for 1.6 billion people, including the 10 million people who work in forest management and conservation. Although more than half of all animal and plant species in the world live in tropical forests and despite the abundant benefits forests provide to humanity, such as maintaining a balanced climate by regulating atmospheric gases, stabilizing rainfall and protecting against desertification, as much as 80% of the world's forests have been degraded or destroyed and every day we are losing at least 80,000 acres of forest and at least another 80,000 acres are being degraded. Forests worldwide are nearing a tipping-point brought on by drought and exacerbated by climate change and deforestation. Rainforests once covered 14% of the Earth's land surface, now they cover a bare 6% and experts estimate that the last remaining rainforests could be consumed in less than 40 years and certainly by the end of the century at the current rate of deforestation. Nearly half of the world's species of plants, animals, insects and microorganisms will be severely threatened or destroyed over the next quarter century due to deforestation. One and one-half acres of rainforest are lost every second and experts estimate that we are losing 137 plant, animal and insect species every day due to deforestation, which equates to 50,000 species a year. Through supporting organizations that are dedicated to preventing such devastation from occurring and by learning not only how and where to plant trees, but also how trees benefit the planet, your pocket, your community and your physical and mental health, you could be making a real difference in your own life, your community and beyond! *Not sure which tree to plant? Find out with Arbor Day's Tree Wizard! 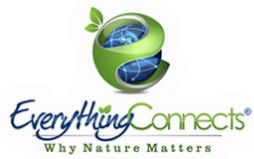 The Nature Conservancy - Plant a Billion Trees!...$1 at a time! ~USDA Forest Service Learn more. Project Amazonas - "A non-political, non-sectarian NGO working to serve the people of the Amazon and conserve the rainforest." Amazon Watch - "Amazon Watch is a nonprofit organization founded in 1996 to protect the rainforest and advance the rights of indigenous peoples in the Amazon Basin. We partner with indigenous and environmental organizations in campaigns for human rights, corporate accountability and the preservation of the Amazon's ecological systems." Tropical Rainforest Coalition - "TRC is an all-volunteer, 501c3 non-profit organization that has made a significant impact on the preservation of rainforests and indigenous people. TRC builds coalitions between individuals, corporations, businesses, learning institutions and non-governmental organizations seeking to reverse the unsustainable use of the rainforests." Rainforest Alliance - "The Rainforest Alliance works to conserve biodiversity and ensure sustainable livelihoods by transforming land-use practices, business practices and consumer behavior." World Wildlife Fund - "For 50 years, WWF has been protecting the future of nature. The world’s leading conservation organization, WWF works in 100 countries and is supported by 1.2 million members in the United States and close to 5 million globally. WWF's unique way of working combines global reach with a foundation in science, involves action at every level from local to global, and ensures the delivery of innovative solutions that meet the needs of both people and nature." Greenpeace Forest Campaign - "We campaign for forest protection because, without healthy, thriving forests, planet Earth cannot sustain life. As much as eighty per cent of the world's forests have been degraded or destroyed. Greenpeace is campaigning for zero deforestation by 2020 to protect what is left of these extraordinary ecosystems." Rainforest Concern - "Rainforest Concern was established in 1993 to protect threatened natural habitats, the biodiversity they contain and the indigenous people who still depend on them for their survival. At present the organisation has 18 conservation projects in 12 countries." Rainforest Action Network - "Rainforest Action Network (RAN) is headquartered in San Francisco, California with office staff in Tokyo, Japan, plus thousands of volunteer scientists, teachers, parents, students and other concerned citizens around the world. We believe that a sustainable world can be created in our lifetime, and that aggressive action must be taken immediately to leave a safe and secure world for our children." Rainforest Fund - "The Rainforest Fund is a charitable foundation that fulfills its mission to protect and support Indigenous Peoples, and Traditional populations of the Rainforest in their efforts to protect their environment and fulfil their rights." STARO - "Save the Amazon Rainforest Organisation raises money for projects that are sustainable within the rainforest: enabling indigenous people to remain in the forest and stopping the march of illegal logging and slash and burn." World Land Trust - "World Land Trust (WLT) is an international conservation charity that takes direct action to save rainforest and other wildlife habitats. By working with local partners across the world, WLT helps fund protected nature reserves to save threatened species." World Rainforest Movement - "The World Rainforest Movement (WRM) is an international organization that, through its work on forest and plantation related issues, contributes to achieving the respect of local peoples’ rights over their forests and territories. WRM is part of a global movement for social change that aims at ensuring social justice, the respect of human rights and environmental conservation. As a result of the type of work it carries out and the linkages it establishes around the world WRM can be defined as a movement." The Nature Conservancy Forest Conservation - "Sixty years ago The Nature Conservancy’s first act was conserving a forest in New York; today we work with people all over the world to protect the life-giving services their forests provide." The Amazon Conservation Team - "ACT wants to help protect and preserve a world as rich and as diverse as the one into which we were born. Your contribution to ACT enables us to help achieve that goal for us, for our children, and for our grandchildren." Trees for the Future: "Trees for the Future is dedicated to planting trees with rural communities in the developing world, enabling them to restore their environment, grow more food, and build a sustainable future." Surf the web while helping protect the rainforest - Every time you visit and click on The Rainforest Site, sponsors donate money to the Nature Conservancy’s “Adopt an Acre” program to purchase rainforest, protect it from development, and enable local people to continue to use the protected land in a productive, sustainable way. You can save up to 20 square feet of rainforest with each click and with one click a day, all year long, you can save up to 7300 square feet of rainforest! Get your friends and family in on it and the number just keeps getting better! Support companies that responsibly produce paper products - There are several companies that are dedicated to producing products with recycled and post-consumer products and without the use of harsh chemicals or deforestation. The Natural Resources Defense Council has created a guide that can easily fold to fit in you wallet to identify responsible paper product companies. Receive email action alerts - Sign up to receive action alerts from the Rainforest Action Network, Rainforest Alliance and Amazon Watch to stay updated and find out what you can do to make a difference. Plant trees! - Rainforests aren't the only places where trees matter! Whether in the Amazon, at home, in your community or anywhere in the world, planting trees provides an incredible abundance of benefits. Trees are important, valuable and necessary for our very existence. You can learn how to choose your tree, then purchase a tree and plant one yourself or donate to organizations, such as Arbor Day Foundation, The Billion Tree Campaign, American Forests, Trees for the Future, Plant a Tree USA, Jewish National Fund, or The Nature Conservancy to plant the trees for you! Reduce your beef consumption - Rainforest beef is typically found in fast food hamburgers or processed beef products, which use beef from cows raised in Central and South America on land cleared of rainforests to graze cattle. Two-thirds of these countries rainforests have been cleared in part to raise cattle whose meat is exported to profit the US food industry. Reducing your consumption of beef will reduce demand for it, cutting back on pressure to clear more forests for cattle. Plus, it's far healthier to consume less meat, adopt a vegetarian diet or eat organic meat. Learn more. "Of more than 265,000 known plant species, less than 3 percent have been tested for their medical applications, yet out of this tiny portion have come 25 percent of all medicines." ~Michael Blalick, director of the Institute of Economic Botany Learn more. Vote with your dollars by boycotting destructive companies - Companies respond to consumer trends, at least with enough voices and actions! You can send your voice and message that you care about the forests by boycotting products that cause unnecessary deforestation, buying products that protect forests, and writing to manufactures of these products to demand that they promote sustainable forestry practices. Read an example of a successful boycott! Spread the word! - Learn more about tropical deforestation, the benefits trees and rainforests provide and the amount of forests left in the world. 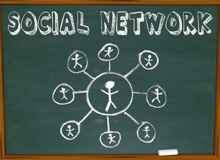 Teach your friends what you've learned and let them know how they can get involved. Write an article or opinion piece for your local newspaper. Write or visit your elected officials to tell them you are concerned about deforestation. Find the email address and contact information for your elected officials. You can also connect with a group that works to protect forests, or start your own local group! Reduce the amount of packaging you buy - A great amount of paper and cardboard is used for unnecessary packaging. Products sold in larger than necessary, mostly empty boxes with filler placed around them are contributing to the destruction of forests everywhere. When you shop, look for items in bulk which are typically a better choice than small packages or individual servings. Reuse paper or plastic shopping bags, or bring your own canvas bags. When you have a choice between products, pick the one with less packaging. When you see products with excessive packaging, email or write a letter to the producers asking them to consider less wasteful alternatives. 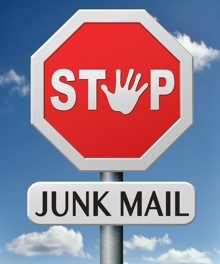 Say no to junk mail - Did you know that more than 4 million tons (62 billion pieces) of junk mail is produced every year? An average of 41 pounds of junk mail are sent to every adult in the U.S. each year, 44% of which goes to a landfill unopened! 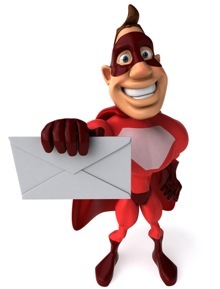 People in the U.S. spend over $275 million to dispose of junk mail annually. The paper industry is the fourth largest greenhouse gas emitter among U.S. manufacturing industries and accounts for a fourth of landfill waste. The average person in the U.S. uses over 700 pounds of paper per year. Take action and start getting exactly what you want with DMA Choice, 41 pounds , the PaperKarma app or donotmail.org. Also cut back on catalogs with Catalog Choice and stop unwanted fax advertisements here. Donate $1 for an Organization to Plant a Tree for You!